in a small form-factor EMC-compliant enclosure. It is part of our family of pin-to-pin compatible radino Modules. 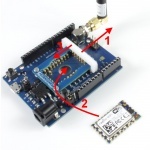 Bluetooth low energy SDK for Arduino by Nordic Semicond. 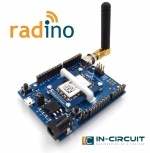 The radino nRF8001 has no Arduino library for including. For an own sketch you should copy the radino_nRF8001_UART_LED folder into the sketchbook folder as a new project. This page has been accessed 59,285 times.